Cohen, a white Democrat who represents a heavily African-American district in Tennessee, said at a Capitol Hill news conference Tuesday that the anniversary of the civil rights march should spur Obama to pardon and commute the sentences of more inmates, particularly given the administration’s recent decision to seek lighter criminal penalties for low-level drug offenders. 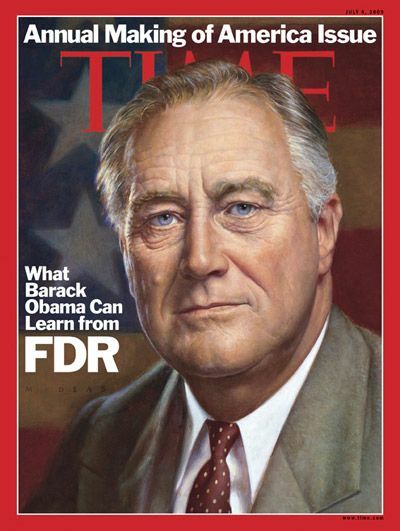 With three years to go, it seems pretty clear that Obama's application pile will surpass that of the Bush administration, which is second only to that of Franklin Roosevelt. In fact, Obama is already 70 percent of the way to beating Roosevelt's mark (of 13,541 applications) and he would only need to average 93 pardon applications per month, to the end of the term, to top it. At the current application rate (an average of about 171 applications per month), the Obama administration would close out with almost 17,000 clemency applications (see our own "Projected Applications" bar in the chart below, on the far right). Holder (Obama): Loud. But Outside the Ring. Passionate, sincere-sounding rhetorical efforts clearly predestined to utter and complete failure can be entertaining. The producers of professional wrestling understand this. Their combatants stand high on the ropes, angrily shaking their fists in the air as they tell thousands of people around them to “Shud-dup!” These exercises in mass communication never succeed, to any degree, at any level. Indeed, they guarantee a louder, more disrespectful audience. It is impressive, but humorous, because the result is so predictably unimpressive. Attorney General Eric Holder’s recent memo to U.S. attorneys (dated August 12, 2013) has a similar feel. The three-page document, an exhibit in what some hope is a “major shift” in DOJ policy, explains that the exercise of “discretion” in charging decisions is “among the most important duties of a federal prosecutor.” Right away, I wondered, “Is there really a prosecutor somewhere unaware of this?” Holder admonishes U.S. attorneys to evaluate factors in sentencing in a “thoughtful and reasoned manner.” He reminds them sentences should be the product of “individualized assessments” and should “fairly” represent criminal conduct. By the time he instructs them to be “candid” and “accurately calculate” sentencing ranges, one suspects something like disrespect, low-regard, or – at the very least – documented, empirical assessment of poor job performance. One could almost imagine the memo’s author on the top rope, calling millions of people a “nation of cowards”! This blog has followed the train wreck that is Governor Jan Brewer for years - our interest first being peaked when the State clemency board she appointed recommended clemency for William Macumber, whose guilt was in serious doubt. Brewer simply ignored the Board and repeatedly refused to explain (much less justify) her decision when asked by reporters and family members. Brewer unmistakably carried herself as a kind of Mayberry tyrant, above the law, accountable to no one, and damn proud of it. Gov. Jan Brewer, who has made personnel reform a priority of her administration, named Hernandez executive director and board chairman last year despite his not having any criminal-justice experience. Today, the Editorial Board of the New York Times mildly rebukes the Obama "administration" for having a "low pardon rate." Among other things, the piece finds the "most striking thing" about Attorney General Eric Holder's recent "encouraging" commentary on sentencing reform was that "there was not one mention of executive clemency." ... it is disheartening that the Obama administration continues to resist calls to remove the current head of the pardon office, Ronald L. Rodgers, despite a finding by the Justice Department’s inspector general that in 2008, Mr. Rodgers misrepresented material information in recommending that the president deny a petition for clemency. George Lardner has a notable piece in Sunday's Washington Post entitled, "A Shameful Inaction on Pardons." It begins by sharply noting that "more than four years after President Obama and [Eric] Holder were sworn in" they have done "almost nothing" to "reform some of the most disgraceful features of imprisonment on a federal level." 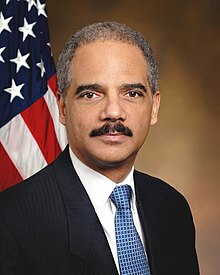 True, Mr. Holder has recently talked about reducing sentences for "older, nonviolent inmates" and finding better ways to "deal with nonviolent criminals." He has also discussed "harsh mandatory sentences on low-level drug offenders" and his desire for "legislation that would give federal judges more leeway in imposing mandatory minimum sentences." But, notes Lardner, these "cures" are largely "prospective" and Holder may not be able to do much on his own for the thousands of prisoners already behind bars because of excessive sentences." JFK Stuff: Powerful, Dramatic ... Wrong. Against all odds, President Kennedy responded. Although many major jazz stars spent time in prison on narcotics charges during the middle decades of the 20th century, only Hawes received a presidential pardon. Fifty years ago, on August 16, 1963, JFK granted executive clemency to the pianist, and thus allowed one of the most talented jazz artists of the era to resume his career. The Hawes pardon would be one of Kennedy’s last executive acts. Only 98 days later, Lee Harvey Oswald shot JFK in Dallas, not far from the prison Hawes recently left. 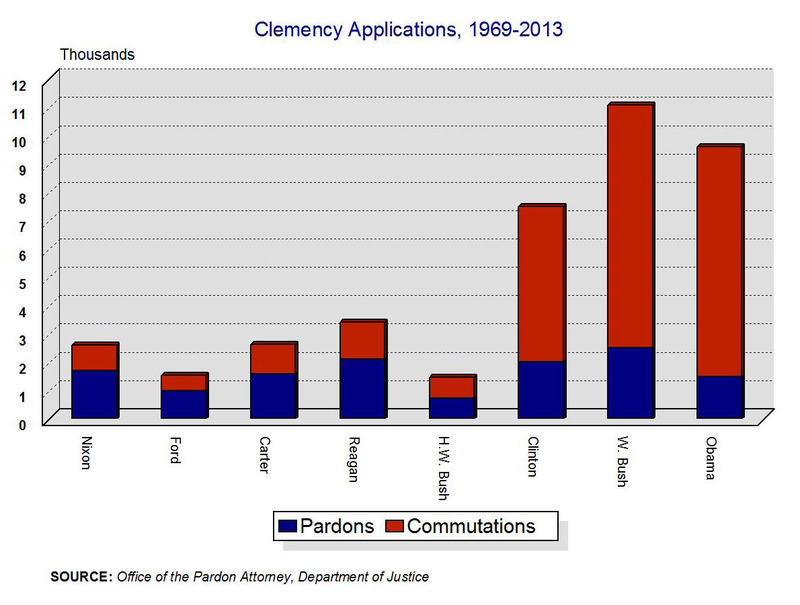 Kennedy only granted clemency to 43 people during his last year in office. Hawes received pardon number 42. It sure would be nice to know who the "many major jazz stars" were, but we know pardons, And we know pardon data. That's what we do. 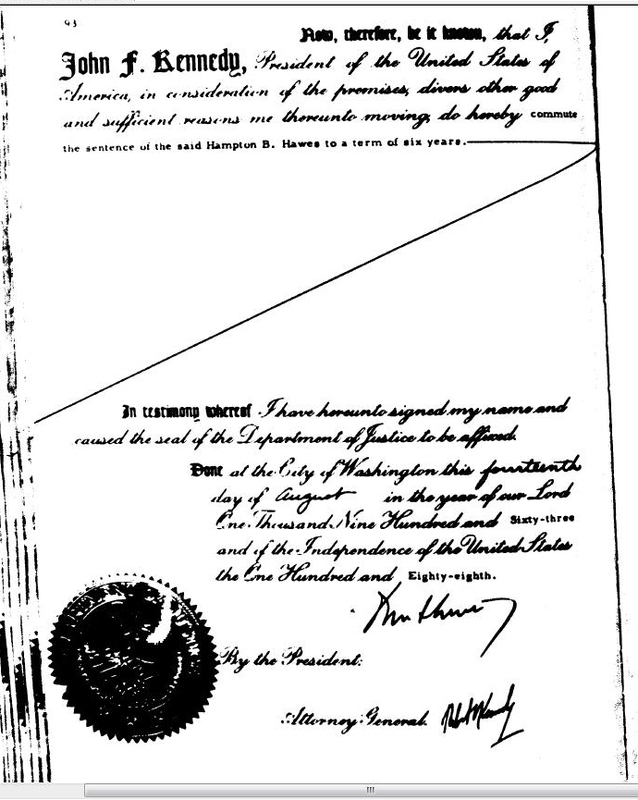 Hampton Hawes' clemency warrant is actually dated August 14th (not the 16th - click on image to the left to see an image of the warrant). 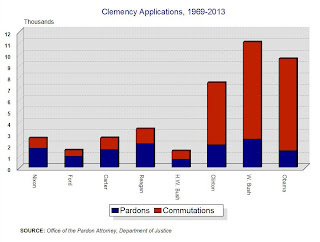 Hawes was not one of only 43 people granted clemency in Kennedy's last year in office (year three of the term). 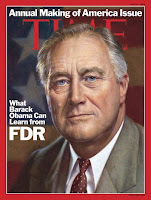 Kennedy granted 268 pardons that year. If the author meant a twelve-month period, the figure is 268. And after the day Hawes was pardoned, President Kennedy went on to grant 78 additional pardons before being assassinated. Goodness. The Editor of the Pardon Power Blog will be doing an hour-long interview on the "The Chris Daniel Show" KMJ 580-AM & 105.9-FM (Fresno, CA), this afternoon, at 3 pm Pacific (5 pm Central). If you are interested, you can listen live here http://www.kmjnow.com/. The last interview with Chris was absolutely fantastic. He is well informed, and knows how to guide a conversation with vigor and great skill. It will not go slow. Chris also has great callers! And, yes, you can be one of them! (559) 490-5858 or (800) 776-5858. - What the pardon power is, and what it isn't. - How often the pardon power is used, and why. - Famous / controversial presidential pardons. - Obama's very sorry clemency record (the most merciless since John Adams). 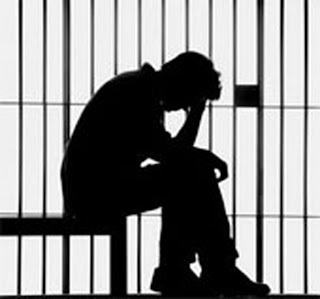 - Racial discrimination in the justice system and the Trayvon Martin case. - Applying the recent sentencing act retrospectively. - O. Henry, Andrew Suh. - Recent calls (need) for an overhaul of the clemency process. ... includes a mere 39 pardons and one commutation of sentence across two terms - the most stingy clemency record since the administration of John Adams. It also includes thousands upon thousands of young, first-time, non-violent drug offenders rotting away in prisons under sentences imposed by a law which both parties in both houses of Congress has since rejected as unsound and unjust. 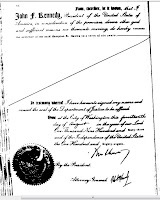 The legacy also includes a record number of clemency petition rejections and a Pardon Attorney rebuked by the Office of the Inspector General for manipulating information and misleading the president with respect to the clemency application of an African American (the previous Pardon Attorney having been removed for making racist remarks re an applicant). In other words, compassion has simply not been a hallmark of the Obama administration, or Mr. Holder's Justice Department. It is encouraging to see discussion (Holder's gig, since 1999! ), and changes in policy, as well as the creation of apparatus and an accompanying mindset to enforce such policies. But, in their wisdom, the Founding Fathers created their own compassionate release program and put it in the Constitution. It is called the pardon power. Long before prison crowding and tax payers were forking out millions for incarcerations, Alexander Hamilton argued there should be "easy access" to mercy. We will see if any of that logic is reflected in this "major shift." [Holder's] remedies address only a thimbleful out of the ocean of tragedy that misguided drug policies have created. Hopefully, further initiatives will be announced. The first, and most obvious, would be a vigorous use of the clemency power to free those who continue to serve long federal sentences under sentencing schemes the nation has abandoned. ... The Fair Sentencing Act was not retroactive. That means that the only realistic path to fulfilling the important principle Holder articulated so well (that “we need to ensure that incarceration is used to punish, deter, and rehabilitate—not merely to warehouse and forget”) is through the president’s pardon power. If the administration really believes in this principle, the next step should be a mass commutation of those prisoners’ sentences. Osler suggests that, if Holder and Obama are concerned about their legacies, "the pardon power would be a good place for firm action." Moreover, this administration, "the least active of any modern presidency in the use of this important presidential tool" should recognize clemency "is a constitutional responsibility to use clemency in the face of injustice, just as much as it is a constitutional responsibility to use military force as commander in chief in the face of a military threat to our nation." See Osler's full editorial here. Watch List: Jackson Jr. Sentenced, Pardon to Follow? Jesse Jackson, Jr., who, along with his wife, pilfered more than a quarter of a million dollars of campaign donations has been sentenced to 30 months in federal prison - with the possibility of a four month reduction. "I still believe in forgiveness and redemption ... and I still believe in the resurrection." 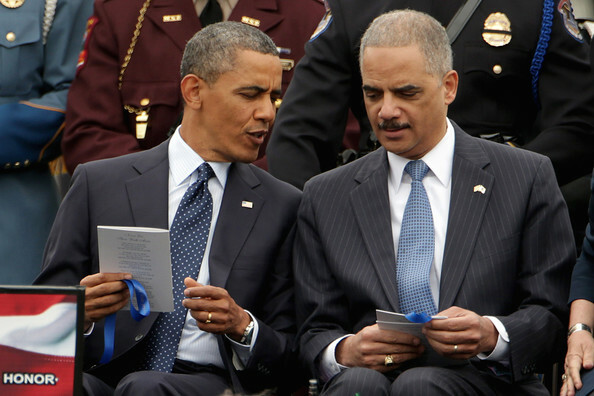 Interested readers can view the complete text of Attorney General Eric Holder's recent memo to U.S. Attorneys re mandatory minimum sentences. To view memo (as .pdf) click here. 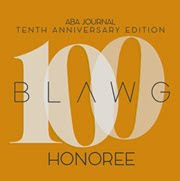 Current policy requires prosecutors to conduct an individualized assessment of the extent to which charges fit the specific circumstances of the case, are consistent with the purpose of the federal criminal code, and maximize the impact of federal resources on crime ... Now that our charging decisions also affect when a defendant is subject to a mandatory minimum sentence, prosecutors must evaluate these factors in an equally thoughtful and reasoned manner. The Editor of the Pardon Power Blog will be doing an hour-long interview on the "The Chris Daniel Show" KMJ 580-AM & 105.9-FM (Fresno, CA), Thursday, 3 or 4 Pacific (TBA). If you are interested, you can listen live here http://www.kmjnow.com/ The last interview with Chris was fantastic. He knows how to guide a conversation with skill and has great callers! While the total prison population declined 1.7 percent in 2012 from 2011, the federal prison population increased by approximately 1,500. Federal prisons are currently operating at nearly 40 percent above capacity with more than 219,000 inmates, a growth since 1980 of almost 800 percent. Almost half the federal prison population is serving time for drug-related crimes, in addition to more than 9 million who go through local jails each year. Charley Savage of the New York Times reports that there has been a "major shift in criminal justice policy" in the Obama administration. According to Savage the administration "will move on Monday to ease overcrowding in federal prisons by ordering prosecutors to omit listing quantities of illegal substances in indictments for low-level drug cases." The effect will be to "sidestep" federal laws that impose strict mandatory minimum sentences for drug-related offenses. The Washington Post reports that former Maryland governor Robert Ehrlich is "partnering" with Catholic University for a "legal clinic on clemency." Similar such programs exist at the University of St. Thomas School of Law (Minneapolis) and at the University of Akron. The difference, it is said, is that this clinic will "also will take up advocacy for reforms." It will also "include a workshop for newly elected governors and their staff." Ehrlich, who became Maryland’s first Republican governor in 36 years when he was elected in 2002, made clemency requests a priority of his administration from 2003 to 2007. Ehrlich assigned five lawyers in his office to consider clemency cases, with two of them fully devoted to them. He met with them once a month to consider cases. It is also reported that, in a four-year term, Ehrlich granted 227 pardons and 21 commutations, which was "far more than his predecessor" (Democratic Gov. Parris Glendening - who granted a mere 134 pardons and six medical paroles across eight years). According to the Post, Democratic Gov. Martin O’Malley (who defeated Ehrlich in 2006 and 2010) has granted 105 pardons, three commutations and two medical paroles in more than six and a half years in office. See full story here. At National Review, Rich Lowry has written a piece entitles, "Reforming the Prison-Industrial Complex Our penal system is out of control, and conservatives have the right values to fix it." Lowry notes prison is "one of the most important institutions in American life" as "about a quarter of all the world’s prisoners are behind bars in the United States, a total of roughly 2 million people." He then notes that it costs "about $60 billion a year to imprison them." Lowry says this "vast prison-industrial complex" has "succeeded in reducing crime but is a blunt instrument." Unfortunately, "prison stays often constitute a graduate seminar in crime, and at the very least, the system does a poor job preparing prisoners to return to the real world." At Slate.Com, Douglas Berman and Harlan Protass pen what is surely one of the best pieces of its kind, entitled, Obama Can Fix the Race Gap in Sentencing Law A stroke of the pen can undo vast racial disparities in criminal sentences. 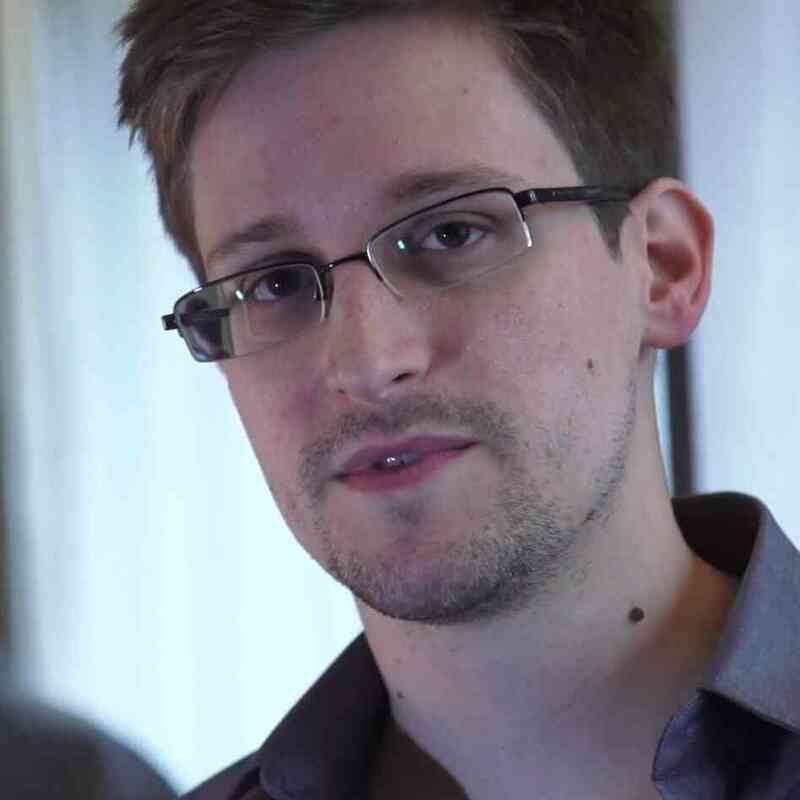 Harvard Professor: Pardon Snowden ! Stephen Walt, a professor of International Affairs at Harvard, is calling on President Obama to grant a pardon to Edward Snowden, in order to "preserve America’s ideals of individual freedom and equality." Walt says Snowden was like the Nation’s “founding fathers” in that he was "also defying the usurpations of an increasingly intrusive government." PilotOnline reports that Del. Joseph Morrissey, D-Henrico, has written to the governor in order to seek a pardon for an "innocent" man. More specifically, Governor Bob McDonnell is being asked to pardon former Navy SEAL trainee Dustin Turner clemency for the 1995 murder of Jennifer Evans. According to PilotOnline, in 2002, "Billy Joe Brown, his co-defendant, confessed he acted alone, triggering Turner's petition." Morrissey has also referenced "a new, less strict standard for overturning convictions that cleared the General Assembly this year." See story here.